The fifth and ‘final’ wave of Lego Dimensions characters is due to be released on 10 May, adding Slimer, Bane and Ninjago character Lloyd to the roster. Once those three are out, that’ll be essentially be the entire first batch of Dimensions figures available to buy. But it probably won’t be ending there. Warner Bros and developer Traveller’s Tales have made it very clear that there’s a three-year plan for Lego Dimensions, and so far we’re only 7 months into it. It’s almost certain that more ‘seasons’ of content are on the way, adding even more characters as well as (hopefully) level packs and free-roaming adventure worlds to expand the game further. 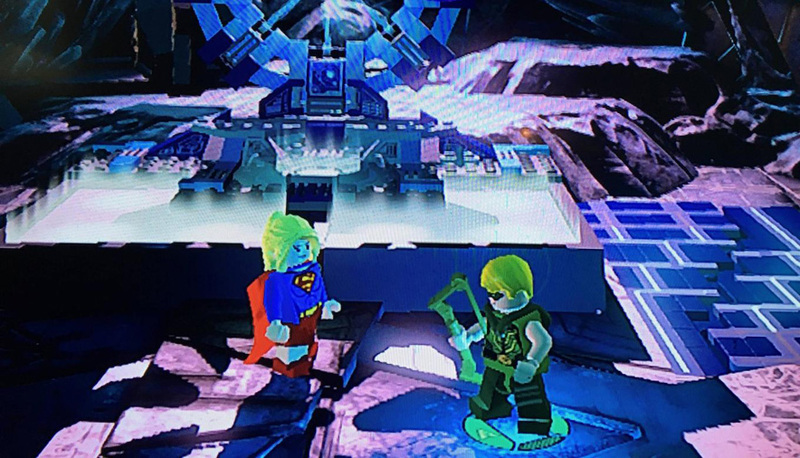 On Friday, an apparent promotional image showing off a Supergirl minifig for Lego Dimensions was supposedly leaked, suggesting the second batch of content could be announced any time now. With that in mind, I’ve put together this list of 20 potential new licences I’d love to see in Lego Dimensions, to join the 14 already in the game. Here, then, are the 20 I’d like to see, either in the next season or any seasons to follow. Note: For the sake of clarity, by ‘the next season’ I’m referring to the unannounced wave 6 onwards. I’m counting the first five waves as the first season because they’re what’s needed to complete the current game 100%. Let’s start with the obvious one, partly because we pretty much know about it now. Given that the first season of Lego Dimensions contained no less than eight DC Comics characters – Batman, Superman, Aquaman, Wonder Woman, Bane, Cyborg, The Joker and Harley Quinn – of course there’ll be more on the way. We already ‘know’ about Supergirl, and Reddit rumours a few weeks back suggested code for Green Arrow might already be nestling somewhere in the game too. But really, given that the relatively obscure (in the grand scheme of things) Cyborg is in there, it’s pretty much open season for any DC Comics alumni. Possible adventure world: There may be no need for one, they might just give access to the current one. Likelihood: 99%. The Supergirl leak is almost certainly legit. Other than what we already know, this has to be the other most obvious prediction. 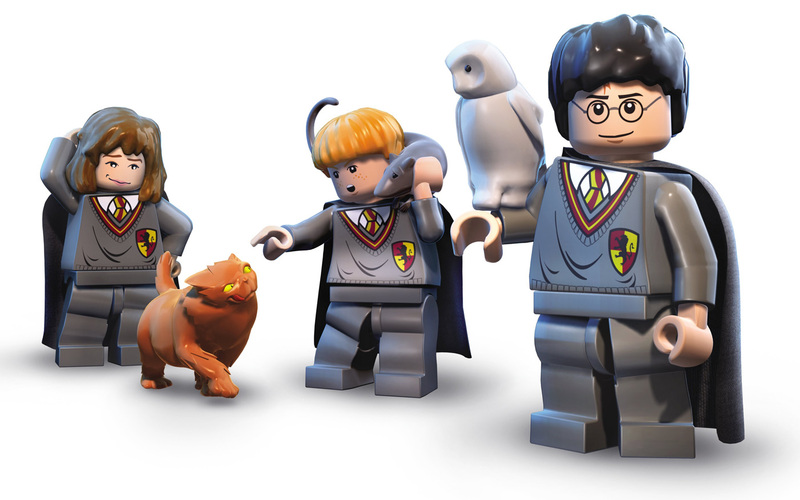 Since Harry Potter is still massively popular, since Traveller’s Tales already made two Lego Harry Potter games and since Warner Bros owns the bloody film licence anyway, there isn’t a more probable candidate for the next season than that wee wizard numpty. Potential sets: Harry Potter and a Hermione Granger & Ron Weasley Twin Pack. Possible adventure world: Exploring Hogwarts. No-brainer. Likelihood: 99%. Warner Bros already owns the licence and they’d be mad not to include a franchise still massively popular with younger gamers. Since Gandalf was one of the three characters in the Lego Dimensions starter set, it’s clear that The Lord Of The Rings is considered one of the series’ most important licences. There was already a Lego Hobbit game, so I’d imagine chucking over some characters and locations from that would be simple, even though the franchise’s popularity is starting to wane a bit. Possible adventure world: Something similar to the Lord Of The Rings one in Dimensions, with all the major locations compressed into one area. So in this case it would be the Shire, Rivendell, the Misty Mountains and Mirkwood. Likelihood: 80%. Getting the licence won’t be a problem, but would it be too similar to the Lord Of The Rings content already there? Since I’m on the subject of licences Warner Bros should have no problem getting, how about one they already own? The Matrix has been lying dormant since the third and final film was released back in 2003, but given that we’ve already had the likes of Back To The Future and The Wizard Of Oz in the first season, it’s clear Warner and Traveller’s Tales aren’t afraid to add ‘retired’ franchises if they were important to popular culture. 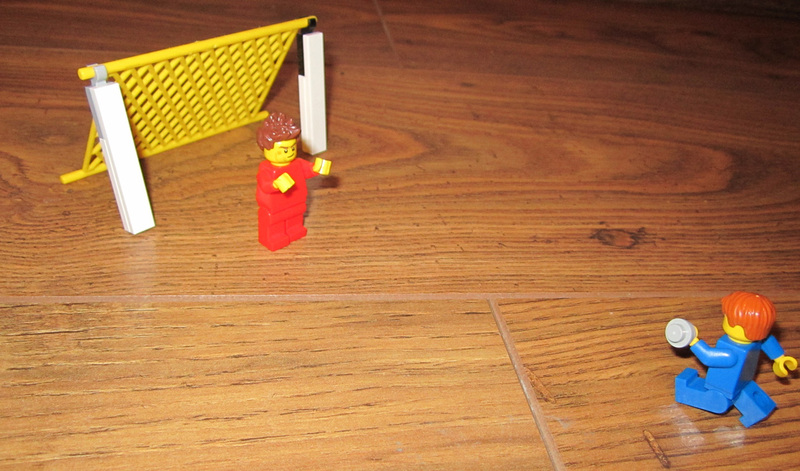 Besides, admit it: you’d love to do all those slo-mo action scenes in Lego form. Possible adventure world: A city area where you can switch between the Matrix and the ‘real world’ by going to a phone box (similar to the TARDIS bits in the Doctor Who level pack). Likelihood: 35%. This feels like one of those pleasant surprise ones that nobody really asked for but most would probably be up for anyway. 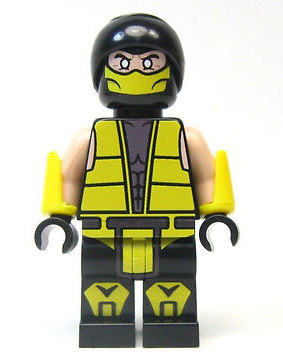 There have already been Ninja Turtles Lego sets in real life, and their combat stylings would be a perfect fit for the Lego game engine. With a second Michael Bay film out this summer, it’s also the perfect time to get them involved in the action. The only potential blocker is Activision, which has a Platinum Games-developed TMNT game out in late May. 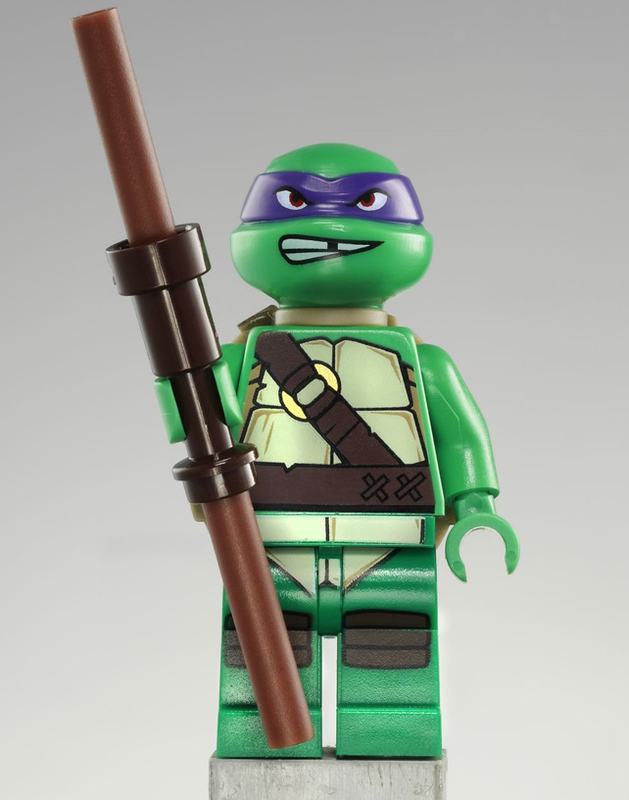 Potential sets: Leonardo, Raphael and a Michelangelo & Donatello Team Pack. Because nobody likes Donatello. Possible adventure world: A New York street area, with obvious access to a sewer system directly beneath it. Likelihood: 70%. Lego and TMNT already have a great relationship, it may possibly just come down to whether Activision wanted to be dicks about it. Wander into any merchandise-selling boutique and you’ll be in no doubt that Adventure Time is currently having the piss rinsed out of it left, right and centre. 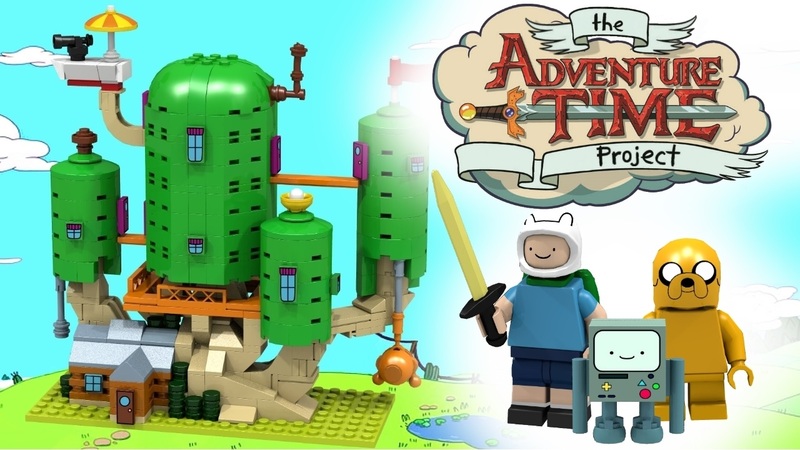 It’s a licensing heaven for its creator Pendleton Ward and Cartoon Network, so even though Adventure Time games are currently handled by D3 Publisher and Bandai Namco I’m sure some strings could be pulled here. Especially since the TV series is distributed by… well, what do you know: Warner Bros Television. Possible adventure world: The Land of Ooo, where you can wander around and get missions from Princess Bubblegum, BMO, Lumpy Space Princess and the like. Likelihood: 85%. Adventure Time is massive right now with young and old alike, and Warner Bros already has a connection. 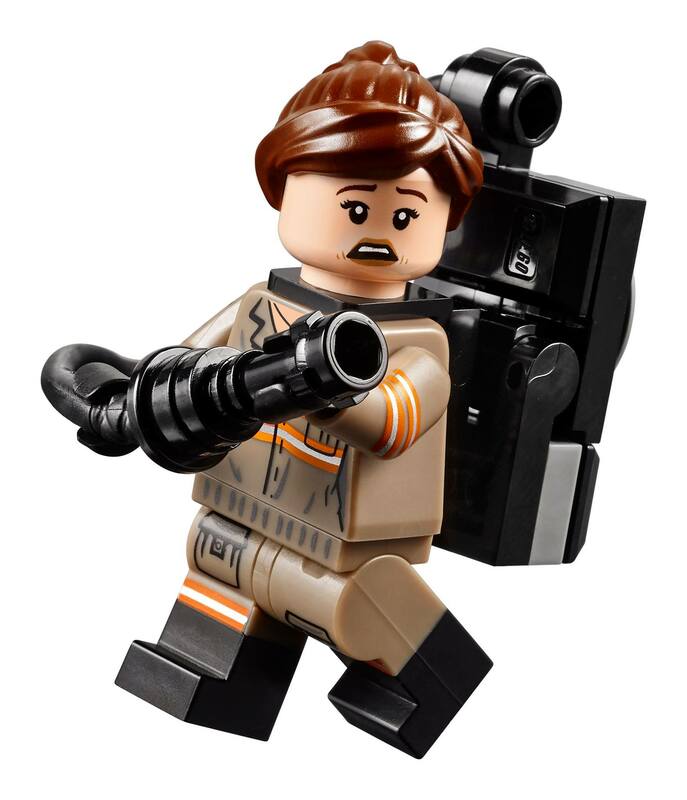 Obviously, Lego Dimensions already has a healthy Ghostbusters presence, what with the Peter Venkman, Stay-Puft and Slimer figures. But considering the all-female reboot is out this summer, wouldn’t it make sense for them to make an appearance too? If nothing else, it would allow people to make the old Ghostbusters interact with the new ones, which could be fun if they manage to get the new cast to record bespoke lines for it. Possible adventure world: New York (again). Loads of ghosts, zap the bastards. Pretty straightforward one. Likelihood: 65%. 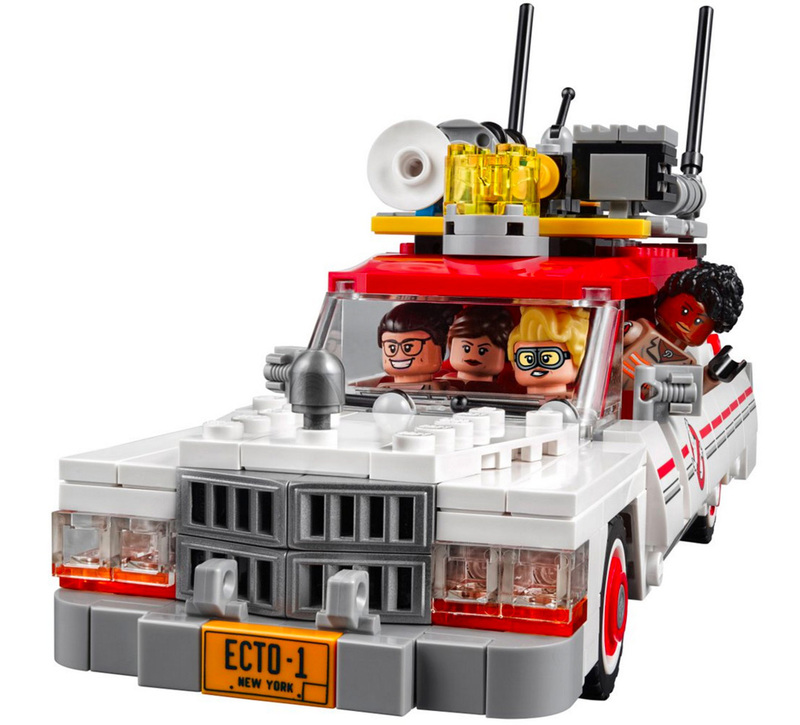 There’s an official Ghostbusters reboot Lego set on the way this summer so Lego are invested in it. But could Warner and Traveller’s Tales pass on it for Dimensions for fear of Ghostbusters over-saturation? Here’s one of my long shots. On paper, it makes sense: Warner Bros owns the Mortal Kombat property and the recent Mortal Kombat X was massively successful. In practice though, you’re still looking at trying to take a violent game in which people’s limbs are routinely removed and somehow fit it into a game suitable for children. I’d be well up for it, but chances are we’ll have to go without. Possible adventure world: A typically Enter The Dragon style environment from the original Mortal Kombat, with a portal that lets you travel between Earthrealm and Outworld. Likelihood: 15%. Unless Traveller’s Tales can be cute with it and have them performing Friendships and Babilities on each other this probably isn’t happening in my lifetime. Not all the properties in Lego Dimensions are from third parties or Warner Bros, you know. There are a couple of in-house brands in there too, in the form of Lego Ninjago and Lego Legends Of Chima. It isn’t outwith the realms of possibility, then, that a third Lego brand – the much-loved Lego City – could make an appearance. 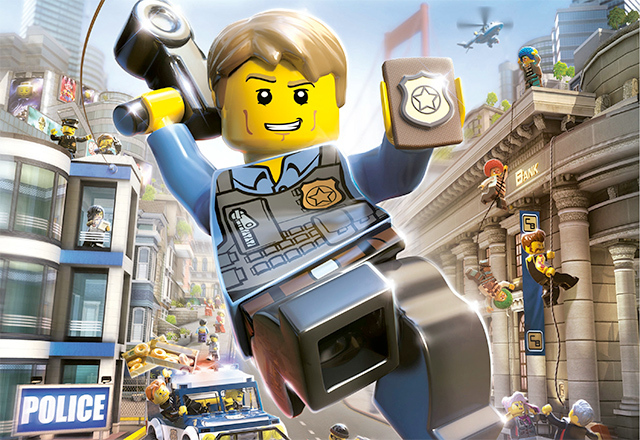 Traveller’s Tales could probably even draw from its brilliant Wii U exclusive Lego City Undercover and take assets from that, including hero Chase McCain. Possible adventure world: Lego City, obviously. Likelihood: 80%. I’ve got a good feeling about this one. Maybe not this season, but I’d expect we’ll see it at some point during the game’s three-year content plan. Simply put, if you’re in your 30s like me, you started thinking “YES” the second you read ‘The Goonies’ just there. 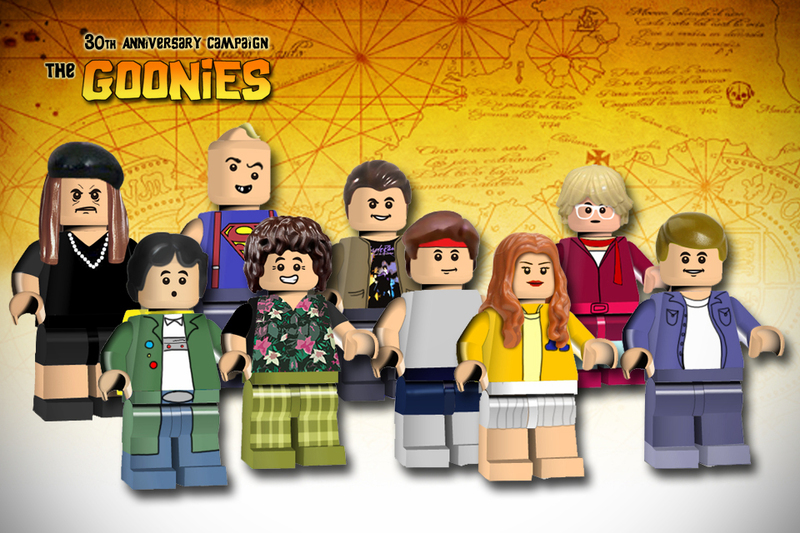 The much-loved adventure movie celebrated its 30th anniversary last year, and if Back To The Future and Ghostbusters can make it into Lego Dimensions then surely there’s a place for this ‘80s movie gem too. 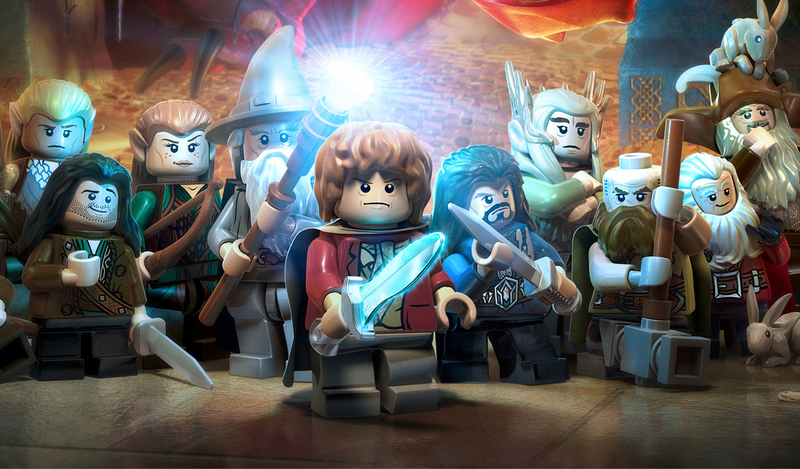 There are few movies that would be better suited to the adventuring gameplay the Lego series is known for. And, in case you’re curious, the film was distributed by Warner Bros back in the day. Possible adventure world: The whole cave area, complete with One-Eyed Willy’s pirate ship The Inferno. You should also be able to head up to the town of Astoria and perform tasks for Mikey’s mum and the like. Likelihood: 70%. Lego Dimensions is already doing a good job of juggling licences for young and old gamers, so this would be a great fit for the latter. Ruggero Deodato’s chilling 1980 horror masterpiece was an early example of the ‘found footage genre’. It featured a gripping story about documentary filmmakers who fall foul of a cannibal tribe, and is packed with gory violence and real animal murders. Which is why it would be perfect for a game with a PEGI 7 rating. Potential sets: Director, script girl, native, turtle with removable guts. Possible adventure world: The jungle and the native camp, complete with a big wooden pole to impale the documentary crew on. Likelihood: 5%. They’d probably take some convincing but hopefully Lego would see the benefit of this one, especially for younger gamers. Slightly more likely than Cannibal Holocaust, Minecraft Lego is already hugely popular so shifting it over to Lego Dimensions would be a licence to print cube-shaped money. It wouldn’t be the first time Lego Dimensions featured another video game: Portal 2 and Midway arcade classics are already represented in the first season. It also wouldn’t be the first time Mojang gave the keys to Minecraft over to another developer, given the episodic Minecraft: Story Mode adventure from Telltale Games. Possible adventure world: Obviously some sort of Minecraft village, maybe even one that randomly generates every time. Likelihood: 75%. 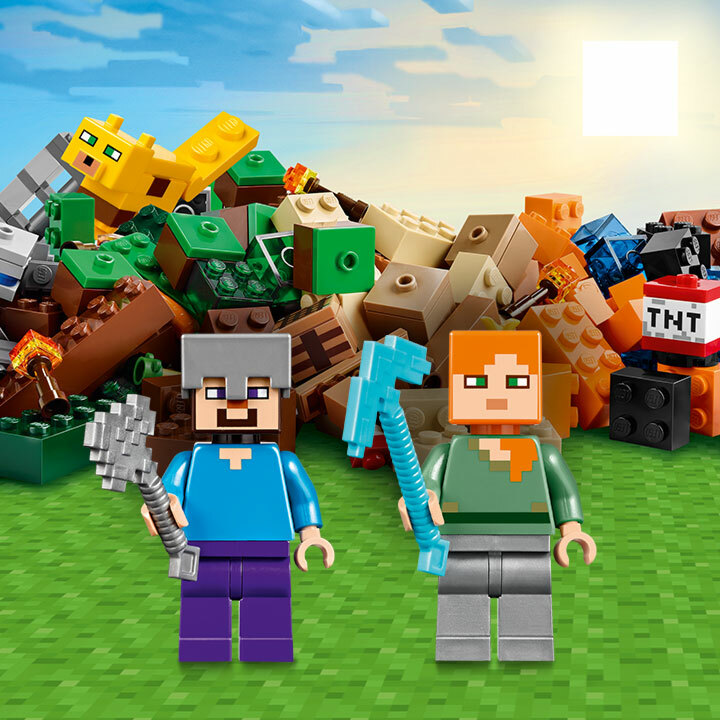 Traveller’s Tales has already shown with the Portal 2 level pack that it knows how to treat other studios’ games with respect, and given that Minecraft sets are regularly among Lego’s top sellers I bet TT and Warner have been trying their hardest to seal a deal. The recent revamp of The X-Files may have been slightly pump but that doesn’t mean there isn’t still a die-hard group of fans slightly bitter that we never got a genuinely brilliant game based on the show (and no, that FMV one on PlayStation didn’t count). 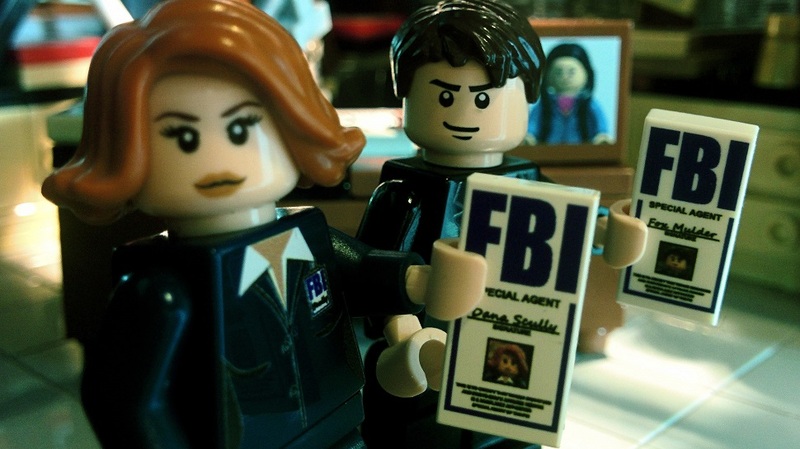 Imagine an X-Files set for Lego Dimensions that’s been given the same loving care and attention as the Doctor Who one got. Now touch your eyes. I know, they’re damp. That’s called excitement. Possible adventure world: A weird version of Area 51 where the portals from the main Lego Dimensions story keep appearing and sending over famous X-Files monsters like Tooms. Likelihood: 45%. There may already be a sci-fi presence in the shape of Doctor Who but The X-Files might be deemed slightly too mature for a kids’ game. I know, I know. Too violent. But a man can dream, can’t he? Especially if that man’s dreaming about a Lego version of the T-800, using his dinky shotgun to blow away loads of Endoskeletons while keeping a Lego T-1000 at bay. That’s the best kind of dream of all. A dream, incidentally, that also sticks to the first two films and pretends the others didn’t happen. Possible adventure world: This one would obviously work like the Back To The Future one, with the ability to switch between the future and the past at will. 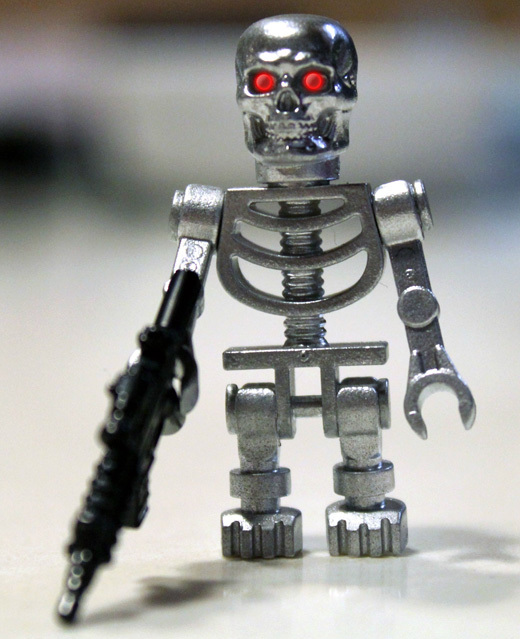 You’d be doing missions for Sarah Connor in the present, and John Connor in the future. Likelihood: 30%. I can see that pesky PEGI 7 rating putting the kibosh on this one, which is a shame because Endoskeletons would be the perfect foil for some mindless Lego enemy blasting, much like the Stormtroopers in a Lego Star Wars game. It’s pretty much a given that we aren’t going to see Star Wars in Lego Dimensions any time soon. Even though there’s a fourth Lego Star Wars game out in June, Disney would be mad to give its characters to a Disney Infinity rival. If we can’t get Han Solo, then, why not Harrison Ford’s other famous role? 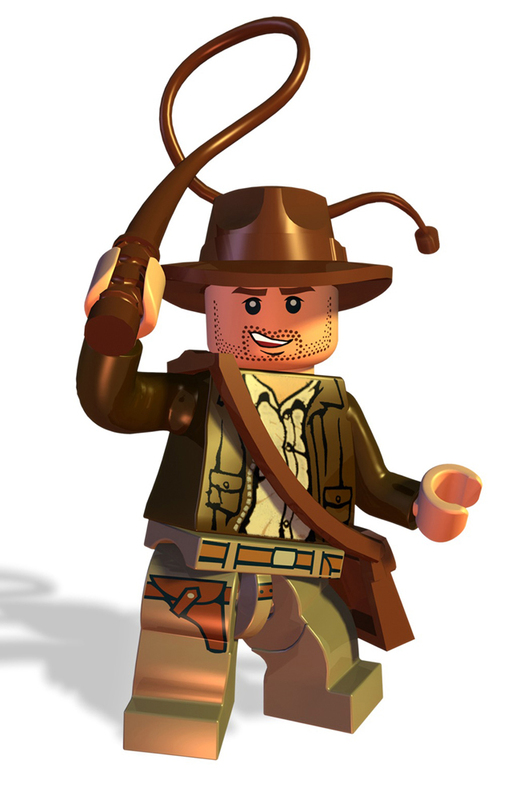 We already had a couple of Lego Indiana Jones games back in the noughties, so it would be great to see him back in action. Potential sets: Indy, Mutt (look, nobody would want it but it would happen), Henry Sr.
Possible adventure world: Take your pick. Maybe the Temple Of Doom, maybe one of the locations from The Last Crusade. Either way, Traveller’s Tales will need to be careful to remove any references to Nazis because that wouldn’t fly. Likelihood: 70%. There are no Paramount brands in Lego Dimensions as yet but given we’ve had both Lego Indy games and physical Lego Indy sets in the past, it’s certainly possible. You know, there are still some people who blame video games for the tragic school shooting in Columbine High School back in 1999, rather than the two chaps responsible simply being evil. Maybe the best way to educate people is to have a Lego Dimensions stage based on the famous Michael Moore documentary, in which you have to run around convincing people that gaming wasn’t to blame. 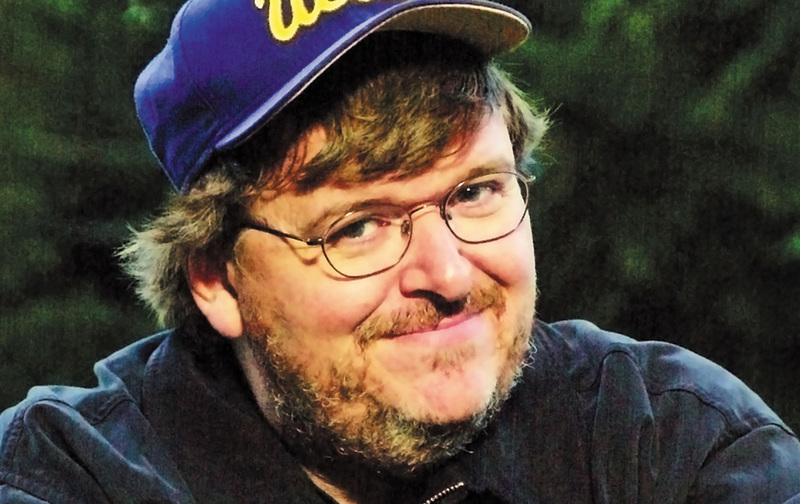 Potential sets: Michael Moore, Marilyn Manson, Charlton Heston. Possible adventure world: No, I’m not going there. Instead, you’ll be running around a Lockheed Martin plant, helping insiders to sabotage it and end the production of weapons of mass destruction. Likelihood: 2%. It probably isn’t timely enough anymore. 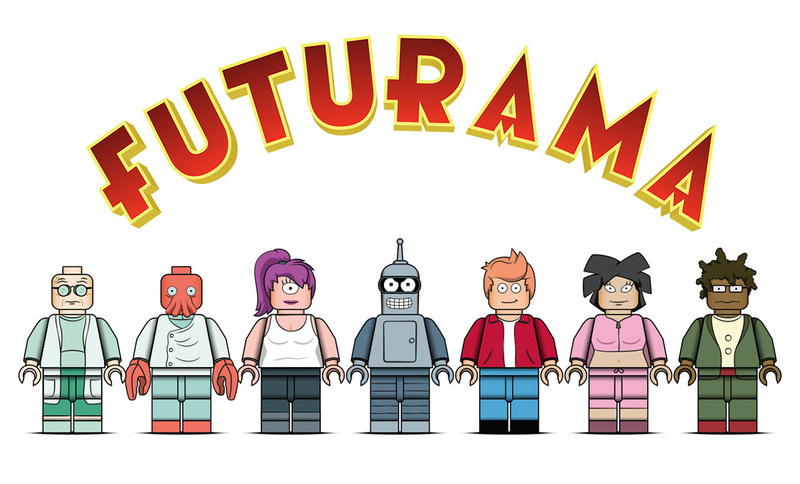 It may not be as big as it used to be back in the day, but let’s face it: Futurama was never massively popular. It was the ultimate cult cartoon series. 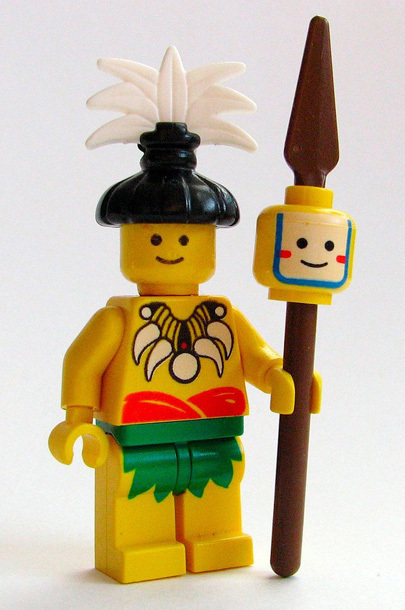 Tell me you wouldn’t want to play through an adventure as Lego versions of the Planet Express team, though. There was only one Futurama game more than a decade ago and it wasn’t great, so this would scratch an itch I’ve had for a long time. Possible adventure world: Your main hub would be the Planet Express building in New New York and, as in the Doctor Who adventure world, you’d get to teleport to different planets/areas, like the space Titanic and Omicron Persei 8. Likelihood: 65%. Hey, you never know. Don’t forget we got a trio of Simpsons characters in season one, so more Matt Groening goodness isn’t completely out of the question. The first season of Lego Dimensions teased Hanna-Barbera fans by scratching the surface, offering a Scooby-Doo Team Pack (with its own adventure world) and nothing else. Now that the famous animation studio has shown it’s on board, surely there’ll be more to come from it in season two? 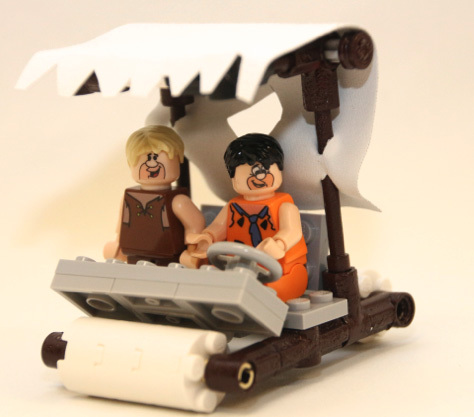 After all, don’t forget there are secret Flintstones and Jetsons areas already in the game: it would be cruel to give us those and not the figures to go with them. Possible adventure world: Like I say, we’ve already had the Flintstones and Jetsons houses, so how about a general Hanna-Barbera world where we can visit Top Cat’s street, Yogi Bear’s park and other areas in Bedrock? Likelihood: 80%. I think there’s a good chance of this. If so, I bloody hope two of the builds are Fred Flintstone’s bottomless car and Dastardly & Muttley’s blue Wacky Races car. Although the Portal 2 set in the first season was fantastic, it could be argued that it probably didn’t appeal much to younger gamers. As I’ve said above, something like Minecraft could be a more suitable fit, but if you want to go all in then I reckon Sonic The Hedgehog would be the perfect coup. 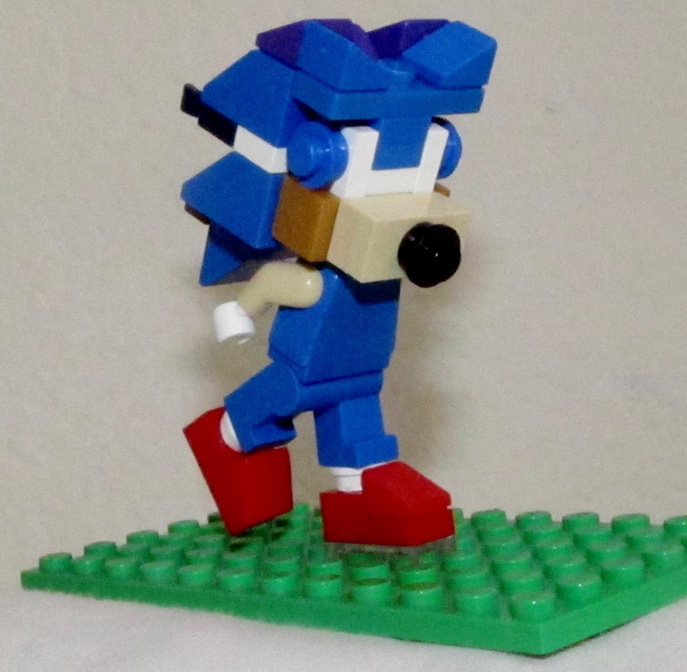 Despite his constant poor run of form, Sonic’s still immensely popular with kids so having him in Lego Dimensions – yes, voice acting and all – would be a great fit. Possible adventure world: Give me the Green Hill Zone or give me death. Actually, the city hub from Sonic Adventure would be alright too. Likelihood: 55%. It wouldn’t be the first time Sega’s given Sonic out to another studio (Smash Bros, for example), but for some reason I don’t see this being too likely. I’d be up for it, mind. Let’s face it, this is the one Lego Dimensions licence everyone’s keeping their fingers crossed for. You can have your Back To The Future and Simpsons and Doctor Who and that’s all well and good, but without handball in there the game might as well just be a disc filled with photos of pandas. 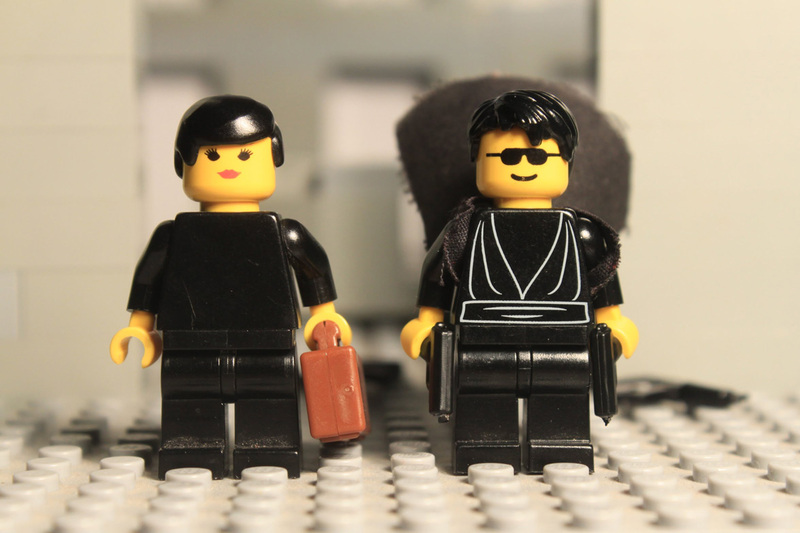 Do the right thing, Warner Bros. Get the IHF in Lego Dimensions. Or we all boycott. Potential sets: Nikola Karabatić, Domagoj Duvnjak. And of course I didn’t Google them. Possible adventure world: A generic city area where you have to wander around and try to find anyone who can name a single handball player. Likelihood: 100%. It’s the most obvious decision of all. Can’t wait for it. Twenty licences, all ripe for the taking if Warner Bros and Traveller’s Tales decide to go for them. What do you reckon? Are you up for any of these, or do you have other ideas you reckon would be more likely/desirable? If you want to see Lego Dimensions feature The Powerpuff Girls, WWE, Street Fighter, Sailor Moon or anything else, get in the comments and share your thoughts. I love that you got a whole bunch of these right. I don’t own this game, but the year 2 stuff is kinda pushing me in to thinking about buying it.